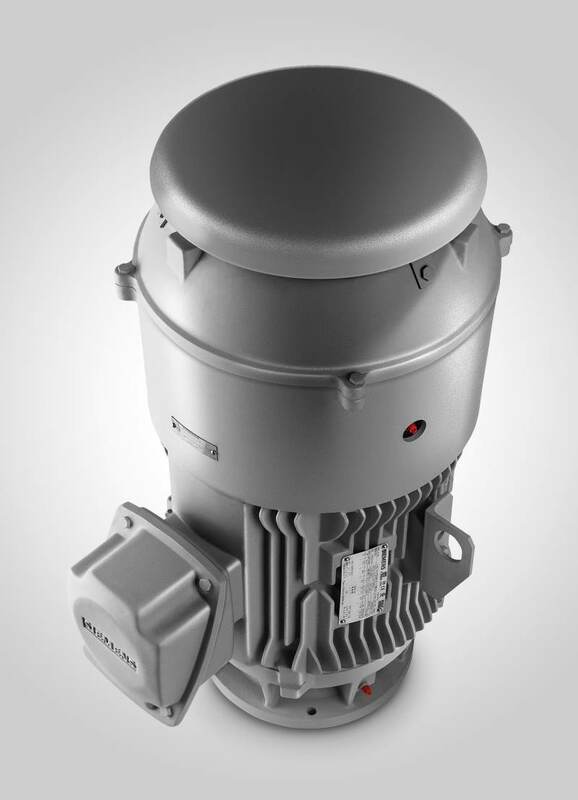 Expanding its extensive range of Simotics low-voltage Nema motors, Siemens adds in-line, vertical solid shaft (VSS) motors to its portfolio – the LP100 series – in the Nema Premium efficiency class. They have been specifically designed to address hight thrust pump applications and now have an extra high thrust capability allowing them to be teamed up with many pump types. The motors comply with the new Nema Premium efficiency class, the highest efficiency class required today for Nema low-voltage induction motors in the US. A range of special options is available for the series so that these motors comply with or exceed the most stringent industrial standards and can be used to address a wide range of applications. The new Simotics DP LP100 series from Siemens was specifically designed to address hight thrust vertical pump applications while fulfilling the US Nema standard MG-1. These state-of-the art vertical solid shaft motors have a full cast iron enclosure that cannot corrode, guaranteeing improved reliability, performance and long service life – and low vibration levels. These features make them predestined for harsh environments that can be found in the oil & gas industry, chemical industry, pulp and paper water and wastewater, for instance. The motors set themselves apart as a result of their innovative design, which has also allowed the thrust capability to be increased, within the same design, by up to 175 percent when compared to conventional motors. The motors can be offered in compliance with or even surpass API610 and IEEE841 standards, two of the most stringent standard in the industrial landscape, so that they can provide even higher reliability. Complying with the new Nema Premium efficiency class, their electrical and mechanical design guarantees that losses are limited to 5% below the maximum stipulated by the US efficiency regulation. The motors are available in frame sizes 180LP up to 449LP corresponding to a power range extending from 3 HP up to 250 HP and rated speeds of 1200, 1800 and 3600 RPM, at 60 Hz. A wide range of special options is available for this motor series from thermistors or space heaters to Hybrid ceramic bearings, Non Reverse Ratchet and extra high thrust. 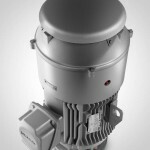 These options mean that the motors can be deployed in a wide range of pump applications. All of these best-in-class features are complemented by an oversize terminal box – to facilitate easy installation and connection – and practical close lifting lugs. These motors are attractive for end users in many demanding sectors who are looking for innovative and rugged vertical solid shaft motors to drive their pumps. With their cast iron enclosure, high thrust capability and low vibration levels users can be assured a long service life – backed by the global Siemens service network.